Throughout the world people are becoming concerned about the amount of plastics that we use everyday and the enormous quantity that ends up as waste. Our countryside, our towns, our shorelines and our rivers and seas are all becoming polluted with plastics in many different forms. Every day around eight million pieces of plastic get into our oceans and there are now more than five trillion pieces of plastic in the open sea. There are more than 5,000 items of plastic pollution, including more than 150 plastic bottles, for every mile of beach in the United Kingdom alone. In February 2018 Transition Chepstow launched a campaign to reduce the amount of plastic used once and then just thrown away in our town. We want to reduce the amount of single-use plastic that is used throughout our town, to replace plastic with other materials that can be composted or disposed of safely, to reuse materials as much as possible, and to recycle wherever we can. Our objectives are to make a drastic reduction in the amount of plastic that is used once and then thrown away and to eliminate plastic litter. We expect the campaign to run for about two years, depending on how much progress we make. We want to work with everybody who is concerned about the environment we all live in and depend upon, with households, local businesses, schools, community groups and with local government. Everyone has a role to play. To start with we are focusing on three main areas. We are working with local schools to make sure our children are aware of the problems of plastic, and plastic pollution. We have distributed books and teaching materials and have asked children to make art from plastic straws and other waste. Their work will be displayed around the town by the end of June. 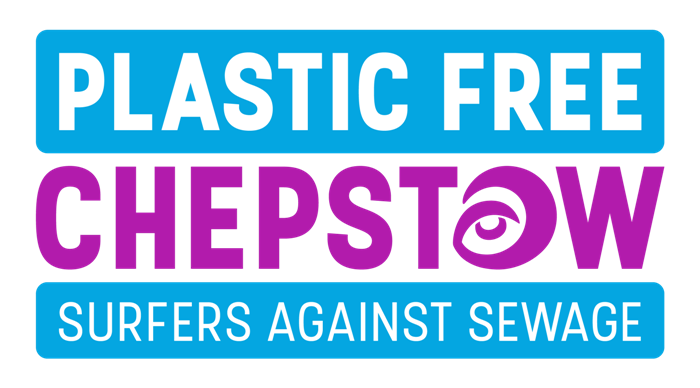 We are working with the Town Council and local businesses to get Chepstow designated as a plastic-free community. We achieved this goal in June 2018 and we continue to engage and work on this as described below. And third, we are working to make people aware of what they can do as households and individuals to make a difference. In order to get Chepstow recognised as a Plastic Free Community by the campaigning group Surfers Against Sewage we have had to demonstrate progress in five areas. We have the active support and involvement of Chepstow Town Council. We are working with local businesses, especially cafés, restaurants, pubs and retail outlets, to sign up to the campaign and to make a major reduction in the amount of plastics they use. Some businesses have already committed to being part of the campaign. We are working with community groups, both those that are already part of the Transition network and others. We are taking action on the ground, with local litter picks and other activities. We are gaining widespread community support, working with schools and others to spread the message to as many people as possible. Read more about these activities and see how you can get involved and make a contribution. Join up and become part of our campaign or follow us on Facebook and Twitter. Let us know what you think and let us have any ideas that would help all of us use less plastic and improve the quality of our environment. If you would like to receive regular updates, please email us at plasticfree@transitionchepstow.org.uk!